Looks like the PS4, Xbox One and 3DS owners aren’t getting the Mega Man cold shoulder after all, as Capcom has confirmed that all three systems will also get the Mega Man Legacy Collection. Set for a release date of February 23, 2016, you’ll be able experience the Mega Man Legacy Collection for the aforementioned systems. But that’s not all! Not only will the 3DS get in on the action, but it will include over 100 new art and history pieces, as well as 11 exclusive remix challenges which can be unlocked by the original Mega Man amiibo or the upcoming gold-colored Mega Man amiibo which will be exclusive to the Nintendo 3DS Collector’s Edition. 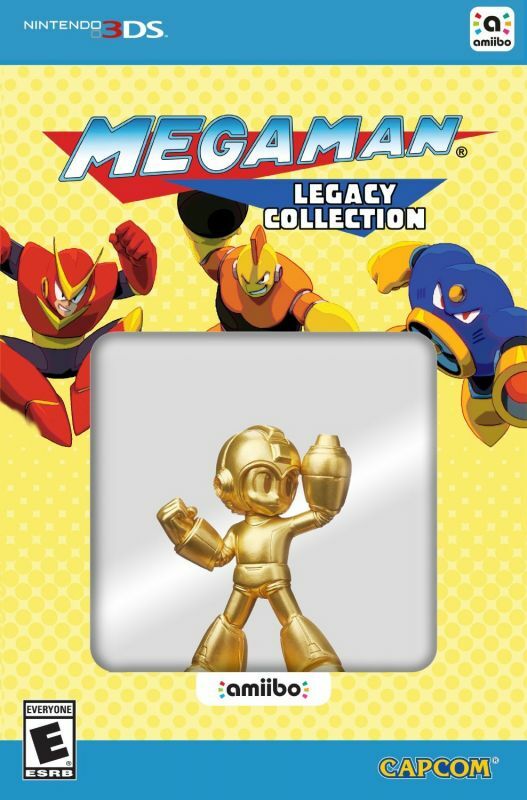 Yep, the 3DS will receive not one, but two versions of the Mega Man Legacy Collection. Color me Mega surprised with all the extra goodies that the 3DS version is getting. Perhaps it’s time to dig that 3DS out of the drawer and get ready.